If you are a business owner, you understand the importance of providing your customers with a clean, professional atmosphere. First impressions are important, and they will often shape your clients’ perspective of what you have to offer. When it comes to sewage backup, not only do you run the risk of portraying negative first impressions, but, when neglected, you can lose your entire business. Chrishon Lampley was on top of the world. A wine connoisseur in Chicago, she was the co-owner of a lounge, and she enjoyed her work as she helped customers select wines and navigate the city. On Christmas day in 2010, however, her world would be turned upside down as a result of a sewage backup. On her way to celebrate the holiday with her family, Lampley felt the need to stop by the lounge and make sure everything was in order, and what she walked into she will never forget. The room was dark, but the smell was rancid and overwhelming. The extent of the damage was made clear when she turned on the lights. The building was saturated in sewage, and tools she used every day on the job were left floating in sewage. Insurance inspectors soon discovered the cause of the devastation. Someone had flushed baby wipes down the toilet, and this resulted in the massive backup. To make the situation even more frustrating, the wipes were flushed in the condo above the bar. Lampley’s account is proof that sewage backup can happen when you least expect it. Your business is crucial to you, and nobody wants to find themselves in such a position as Lampley found herself in that fateful Christmas day. An ounce of prevention is worth a pound of cure, and there are some steps you can take to help ensure your business does not fall victim to sewage backup. The installation of a sewage test plug is important, and this should be placed in the lowest floor drain in the establishment. In addition, installing a back flow valve in the lowest drain will prove well worth the effort. These items can be easily found at most hardware stores. To best protect yourself, you could even consider modifying your plumbing so that an upper level drain is used to pump water and cease the use of lower level drains. If you find yourself a victim of sewage backup, the road ahead is going to be a busy one. While you should begin doing what you can by turning off the electricity, cutting the water supply, and using sump pumps to begin the extraction process, you need the help of the professionals in order to increase your chances of restoration. They have access to the latest tools in drying technology. 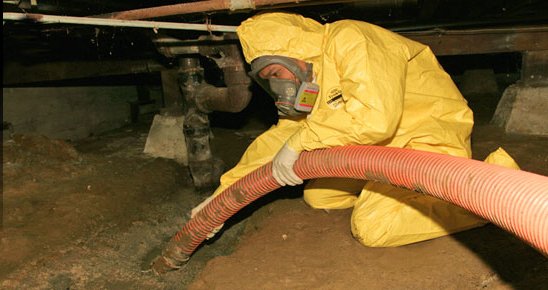 The consequences of sewer damage can ruin your business. With the help of professionals skilled in water damage restoration, you increase your chances of recovery.